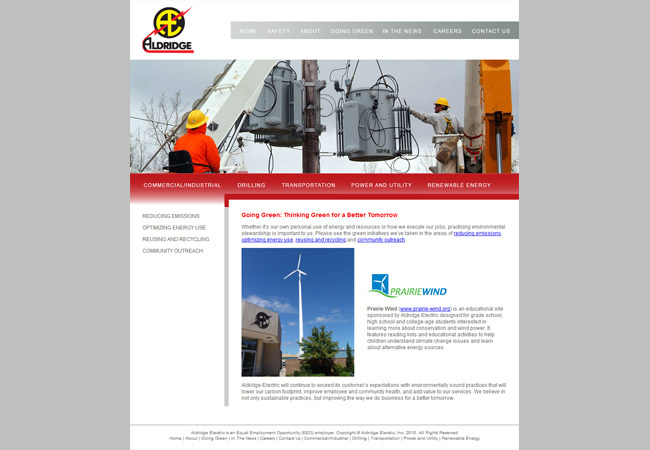 Corporate site redesign and blog integration. 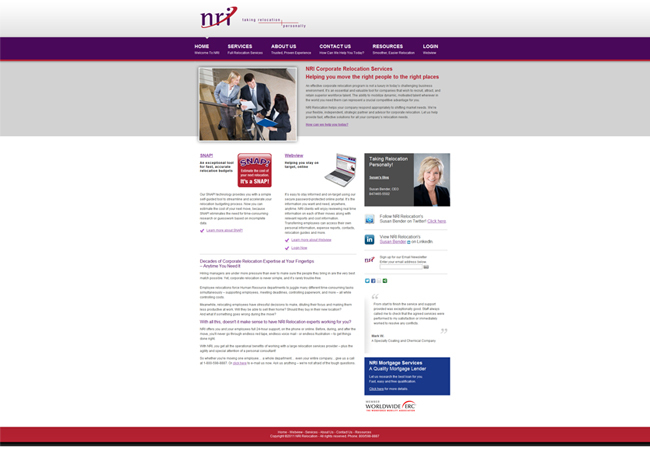 From client, "Thanks to your wonderfully designed site, we are off to the best start ever for NRI in January!" of the Nation’s largest electrical contractors, Aldridge Electric. The project manager at Aldridge said that the owners "Are extremely pleased with the site." I created the logo and website for this start-up branch off service. Clients are "both happy with everything". Complete overhaul. From the client: "THANK YOU!!! You did a fantastic job and it has been a pleasure (and easy) to work with you...And to think we did not even have one face-to-face meeting. 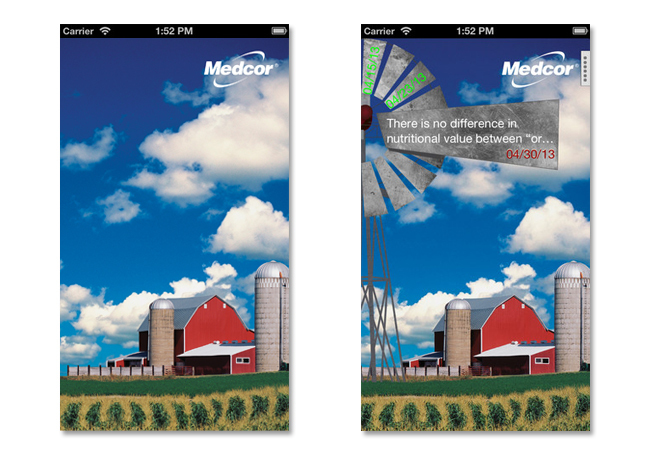 Crazy..."
Visual and user interface design for a new corporate wellness app by Medcor, Inc. Medcor Health provides wellness tips that are concise, interesting and actionable. Based on creative storyboards supplied by Quill, I developed a 3 banner ad campaign ranging in sizes. 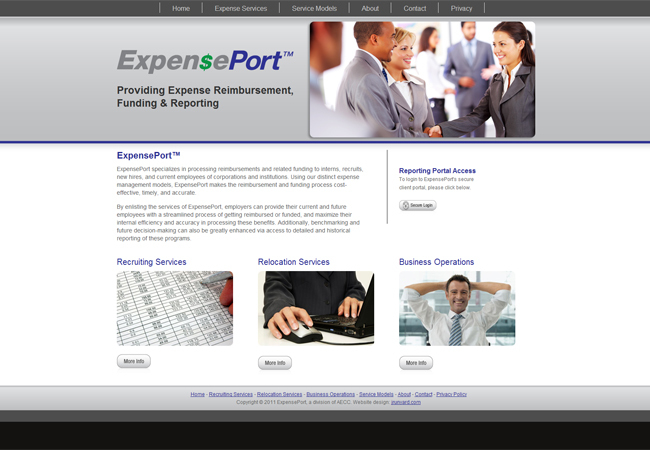 From client, "EXCELLENT! Please proceed." 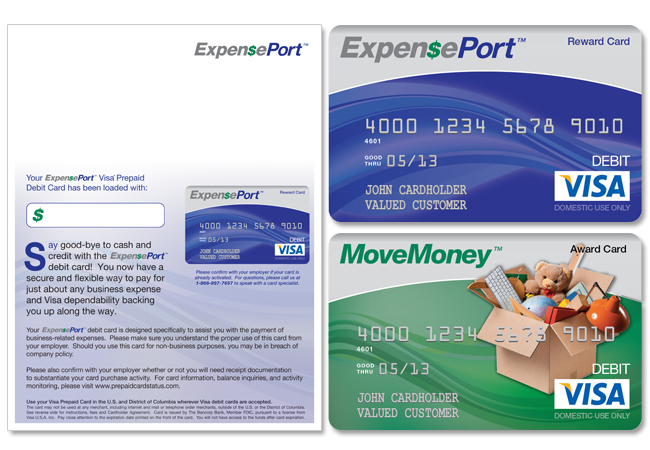 ExpensePort contracted me to design a series of two debit cards and z-fold mailers for two programs they offer. From client, " These are DOPE. Exactly what I was looking for." 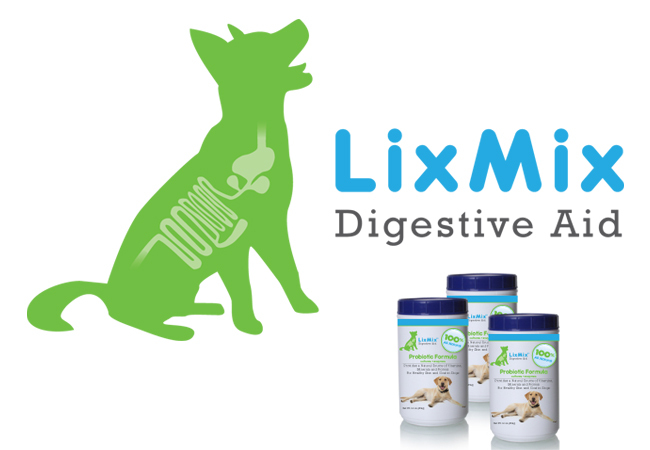 One of my clients invented a new digestive aid for dogs and contracted me to develop a corporate logo, website and container label. From client, " I think that looks great! Its clean looking and tells the story. Nice Job." 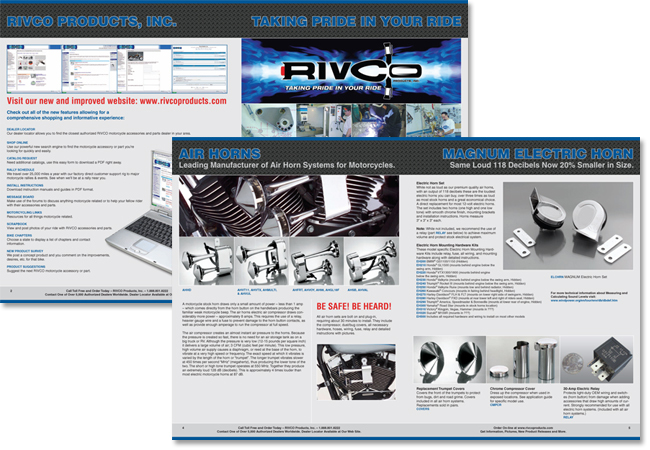 Complete redesign and production of corporate products catalog. New product photography of accessories for Harley-Davidson, Honda, Kawasaki, Suzuki, Triumph, Victory, and Yamaha motorcycles. This was an interesting and fun project. 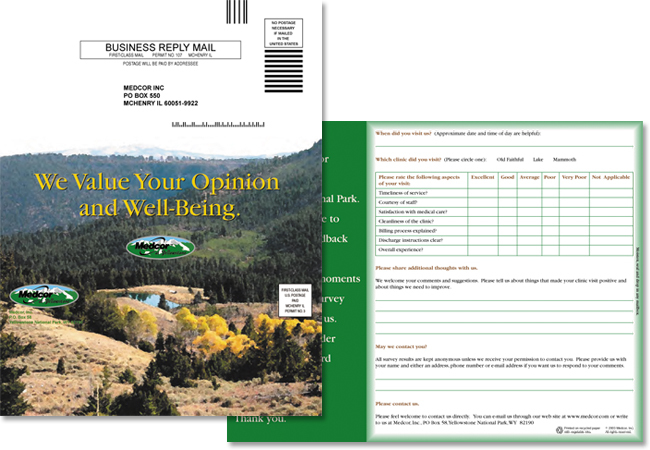 The photo was taken at too low of a dpi to print, so I turned it into a watercolor and then printed on recycled paper with vegetable based inks to meet Yellowstone's green initiatives. 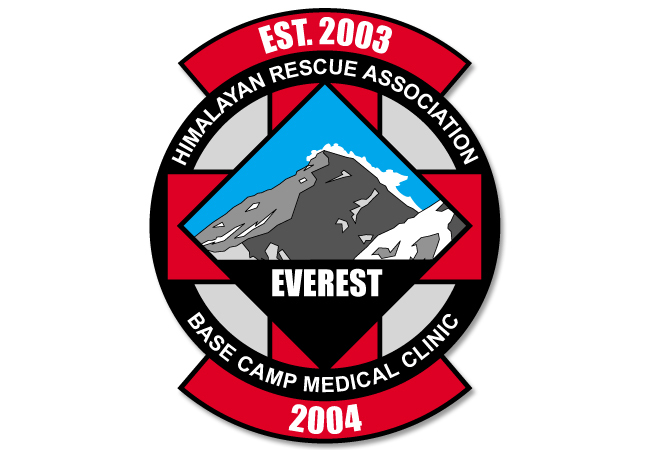 Illustrated a logo to used as a patch for the basecamp medical clinic at Mt. Everest headed up by Dr. Luann Freer. The patch has been updated every year with names and dates to correspond. Instead of using the standard 31 business cards for my wife's consulting business, I decided to design some custom cards for her. 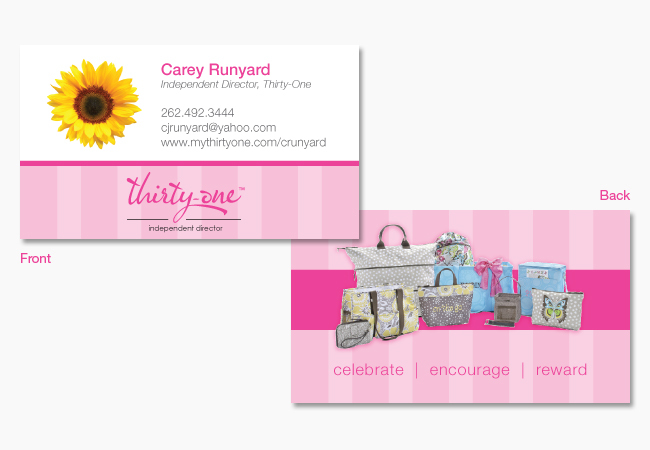 We then offer it as an incentive to join her team by giving new consultants free cards.